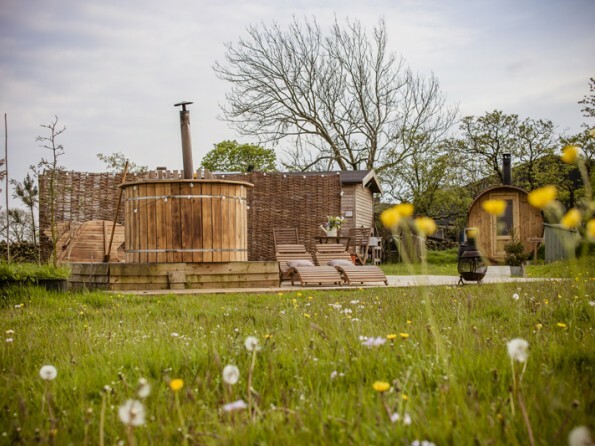 If you love the idea of an outdoor adventure but can’t face giving up your creature comforts then this is the perfect place for you. 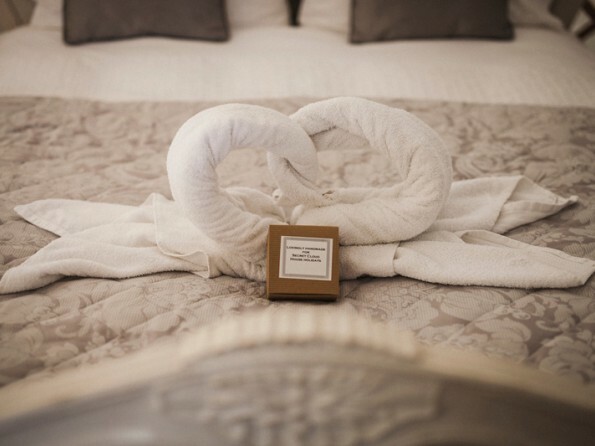 Guests here can definitely enjoy the finer things in life – think feather down duvets, Egyptian cotton crisp white bedding, roaring log burning stove ovens, handmade toiletries, a wood fired hot tub under the stars and a delicious local breakfast hamper on arrival. 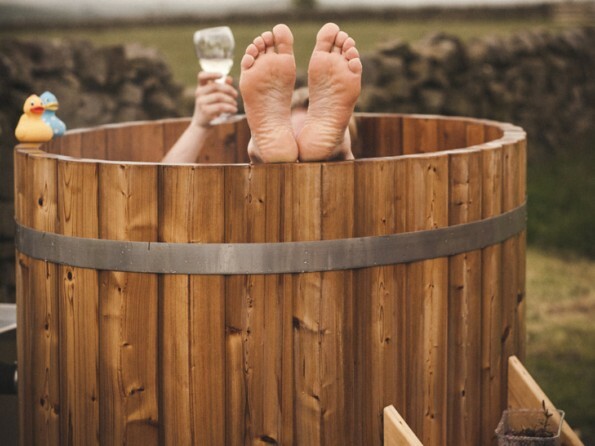 Come and enjoy the beautiful Derbyshire countryside from the comfort of somewhere cosy and completely unique. 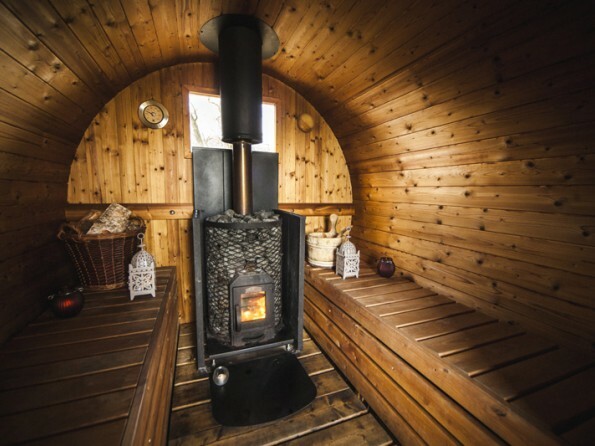 The site is home to four traditional yurts, all of which have log burning ovens, double beds made up with top quality bedding, rustic handmade furniture, tables and chairs, and gas camping stoves. Blackberry is decorated with rich plum colours, Rosehip has a country cottage style with hints of pink and Elderflower has a champagne and cream colour scheme. Solar fairy lights cloak the interior and lamps and candles are provided. 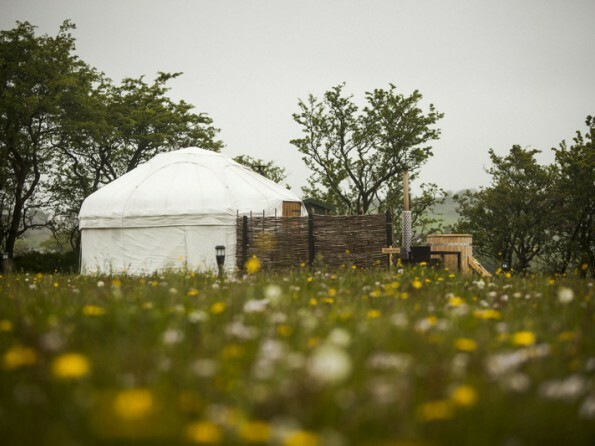 You will also find a good selection of pots, pans, crockery and cutlery and each yurt includes a wind up torch, a wind up radio and a selection of games and books. 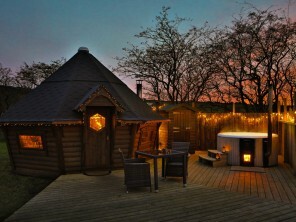 Each yurt has its own outdoor seating, private composting toilet, log store and BBQ. 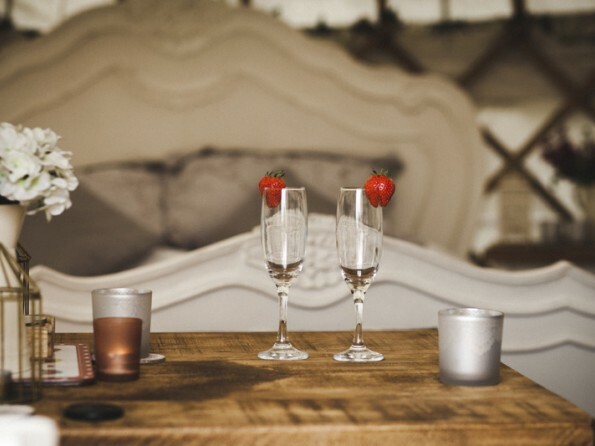 The site has been carefully planned to ensure you have lovely views across open countryside while also remaining private. 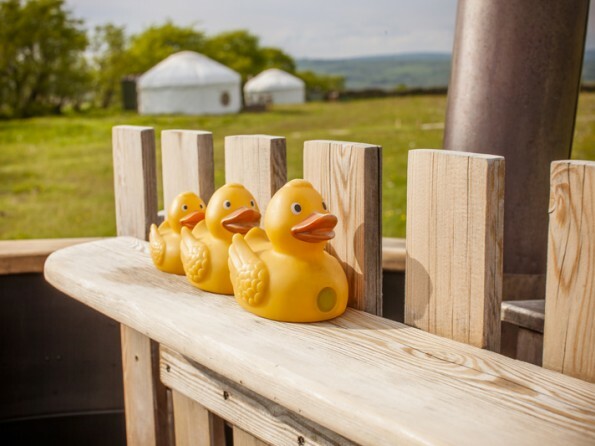 A stone’s throw away from the yurts are two spacious wash rooms, each with a shower, sink, full length mirror and dressing area. They even have hair dryers and straighteners! 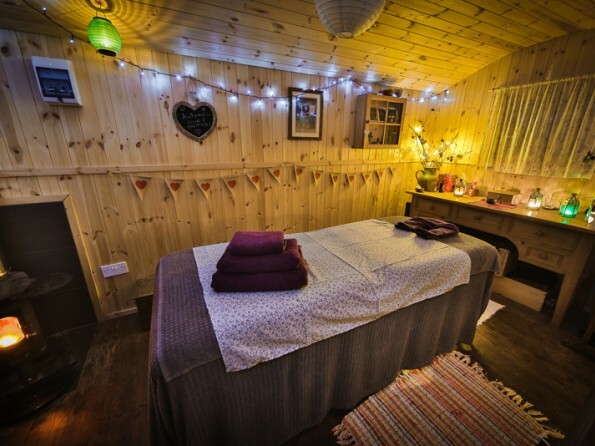 In addition to the yurts there is a Scandinavian-inspired wooden cabin on site, Bilberry Lodge, which can either be a hideaway for two or can be used as a communal dining/entertaining area if you’re booking the whole site exclusively. Please note: our yurts do not have an electricity supply. A 25% deposit is required and the balance is due 6 weeks before arrival. Prices include fuel, logs and a welcome breakfast hamper. Extras can be added when you book. No pets. 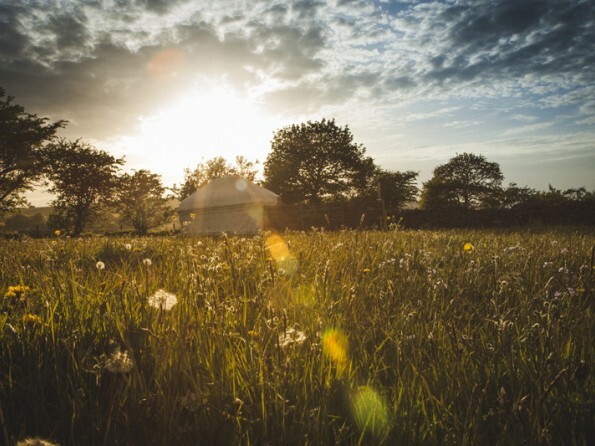 Please note that the yurts are closed from October - February.